Full Service Fly Fishing Lodge On Montana's Big Hole River. To arrange your stay at Great Waters Inn please fill out the form below and we will get back to you to confirm the details of your stay with us or call us at: (406) 835-2024 or (406) 599-6210. Our deposit policy is 50% at time of booking with balance due 30 days prior to arrival date. Refund policy is 60 days prior to arrival date. If cancellation is received less than 60 days and we are unable to fill requested space, deposit will be lost or may be rolled over to later date with a 10% re-booking fee. Southwest Montana’s most versatile and affordable full service fly fishing lodge. 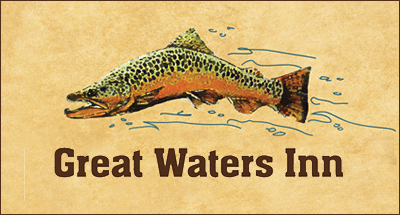 Great Waters Inn offers the visiting angler riverside lodging, fine dining and professional guide service on Montana’s Big Hole River. © Copyright 2017 - Great Waters Inn - All Rights Reserved.